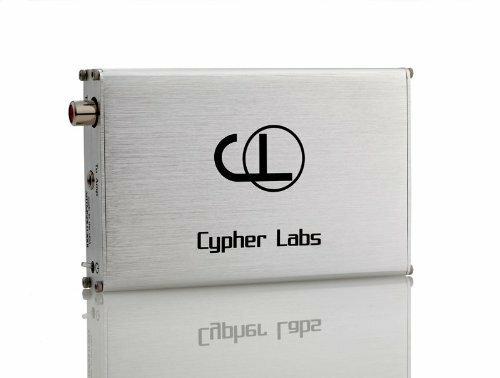 Cypher Labs AlgoRhythm Solo – A “CLAS” Revolution? The debate on the ipod/touch/phone audio quality is endless. Whether it’s the format from mp3 to alac to the model of release from 1st to 6th gen onwards there is never a consensus of opinion on how whether or not the ipod is actually up there with the best of DAP’s when it comes to pure sq enjoyment. Over recent years we have seen a huge plethora of competing DAP’s all with one aim – to knock the ipod off the perch by using one unique feature or not. The recent rise of hugely expensive Chinese DAP’s such as Hifiman’s HM series and the Colorfly has brought one salient feature back to the discussion that I think has been lost for the last 10 years in digital audio – the actual quality of the music itself. The MP3 has almost single-handedly lowered our expectations in what we deem acceptable in listening quality. It used to go up and up, you had vinyl, then cassette, then CD and almost got even higher with SCAD but then digital audio came in and the whole thing turned to immediacy and quantity and the quality went down to insane levels of 128k or lower. Other formats came in such as OGG that did help to alleviate the pain somewhat but it was never going to turn the tide. People had simply forgotten what great sounding music was all about. When they thought mobility and headphones it was now a market of convenience and high levels of tolerance. Since the popularization of higher definition formats such as Flac and the increasing amounts of DAP’s and dare I say it ‘Apps” being able to playback flac and other similar codecs the fightback seems to be well and truly on though. Companies such as Cowon got it with BBE and an insane number of great codecs that were universal, so did Hifiman, so did Colorfly and a few other companies. But for the likes of apple and the ALAC format this is a tricky one because it is proprietary and well, slightly expensive in the long run to have to re-buy all those tracks again and very tedious to redo your CD’s once again in ALAC. One worthwhile solution has been rockbox for ipods but the project is not able to keep up with the pace of change within Apple as much as it used to be and we are now a few years behind on that project with the best iteration being on the 5.5G 2005/6 edition and still remains the best today for high quality playback. Some have gone even further and gone the iMod route which is hardware DIY on the internals to improve the signal path to the outs and in doing so once again raise the quality of the performance of the humble iPod. So what do we have then? Basically a ton of DIY ipods, applications and iterations that do one thing or another but a real disconnection between the iOS as it was intended to be used through iTunes and what we perceive to be the best quality possible in audio reproduction. The perception still remains that something is missing, something so pure in delivery that does not require you to butcher your beloved apple product. 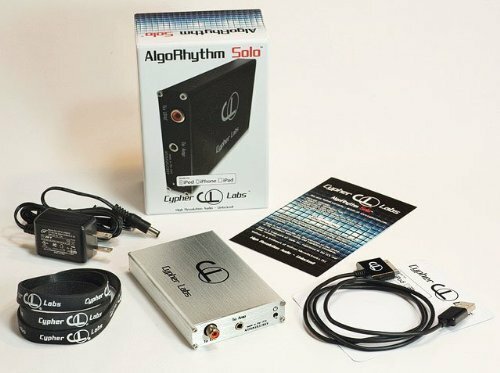 Enter the Cypher Labs AlgoRhythm Solo DAC and in one small aluminum box you have a complete rethink on how to get the best out of the iPod without going to the trouble of getting your tool kit out. It is so simple in intention, yet so sophisticated in execution that it genuinely is a new level of thinking in how to maximize the humble iPod’s audio performance. I am not just talking something like a better OS or perhaps a new codec being optimized – we are talking a complete asynchronous delivery of the purest signal yet from the iPod into one of the most sophisticated “Made for Ipod” DAC’s ever to be made. It is a first but I predict more companies will follow and in time I would expect to see new versions come out and prices to start going down if this genuinely hits critical mass. Now the Solo is not cheap, and it is a risk given the price but lets put price aside for now and lets see how something like the Solo has once again made audio quality a talking point to those that have come to love and enjoy their iPods just as they are without wishing to mod it. The packaging ironically reminds me of an Iphone box and since this is one of the target audiences it is not a bad idea if intended. Inside you get the usual assortment of mobile audio gear – charger, LOD, straps and a little manual on how to use the Solo properly. Nice neat package with no great fuss and easy to unpack and re-pack. The Solo is not small as in Ibasso D Zero, but it is beautifully built. It is above average finishing and can come in two colors, the silver and black. I got the silver one for testing and it does look very well put together. Close partners ALO Audio’s headphone amp, Rx2 is a perfect bedfellow for the Solo with similar form and factor so stacking them (as one tends to do when being mobile) and strapping them together is easy and visually appealing even if it does tend to start looking a tad bigger and more menacing than most mobile on the go stacks. My thoughts turned to airport x-ray machines once I plugged in the short LOD and IC cables – just which guard is going to believe this is all to support my quest to get every drop of SQ heaven out of my iPod? Do they allow demo’s at check-in? At the back is the power (5v people, not 9v – especially if your pairing the 9V Rx2 with it do not mix this up) and usb receiver. At the front is the power, analog out to any amp and a coaxial digital out which is very useful for hooking up to your desktop DAC for wider integration. The Rx2 is similar also in front and back with power at the back and volume, gain, input and output at the front. Though I will reserve my full thoughts on the Rx2 for a full review at some point later I will be using touching on this at point since this was our test unit. And beside they look like they were meant to be together! For everyone else below, sorry but you need to go to the shops right now because after trying this with a few older gen iPods there is just no way to get round this. For those mulling over some competitors in the field right now such as the Fostex HP-1P just a word of warning they currently do not work with iPads whereas the Solo does, (though the Fostex does have an integrated amp which some may favor). I suspect the slim pickings in terms of competitors and the specific workable models is more to do with the work needed to be done to get the two devices to ‘talk to each’ as well as the specifics of being Apple certified. Either way if you’re a die-hard iMod user this is not going to work for you and your little Red Wine delight. Once you have everything in place there is actually a specific order to turn things on. Starting with the apple device of your choice make sure you in the music section before turning on the Solo. Once you turn it on then it should do a quick ‘handshake’ with the pod and you are all set. If not then repeat until you get it right. Honestly it is very straightforward in that respect. Once complete then turn on your amp etc. One thing to note about the Rx2 that I really like is that the volume always starts at around the 1-2 mark when you turn it on preventing from possible damage to the ears with more conventional volume pots. Though not the most accurate of volume dials (a flick dial of sorts) it is very efficient and does prevent accidental slippage that again could give you serious ear damage since it is indeed a very powerful amp. What is this Asynchronous mode thing you speak of? Ok so what is the big deal about this term? Well this to me is the secret sauce (apart form the Wolfson chip) that make the Solo a bit special. Previous digital transports and cheaper ones today do indeed allow digital streaming to and from the ipods and idevices to bigger systems but not in asynchronous mode and this Solo feature is really what gives the sound quality a huge leap over previous non-mobile incarnations and modern day products such as iPure. Asynchronous mode through USB is basically a transport technology that ensure the highest quality of digital stream is achieved when transferring the source through to the DAC chip for conversion to analog. The asynchronous transfer mode allows the AlgoRhythm Solo to overcome the limitations and artifacts associated with sync transfer mode through USB, such as lots of jitter which gives grain, grunge and higher noise levels in analog reproduction. In short it gives a super clean signal for the amp to really power out to your headphones. So how does the darn thing sound?? In a nutshell? Unbelievable. I also tested this with the more humble D Zero from Ibasso and it made the D Zero sound like some high-end amp such was the quality. I was careful to match the Rx2 amp with a warmer headphone such as the ESW9 since my initial impression was the Rx2 amp could benefit from this match being slightly brighter and harsher than say a C&C X02. The ability to bypass the iPod internal DAC and process uncompressed in the Solo is such a difference maker. It doesn’t actually improve upon the stock sound, it just simply takes a pure digital stream away from the internals out through the LOD and into the SOLO for processing. 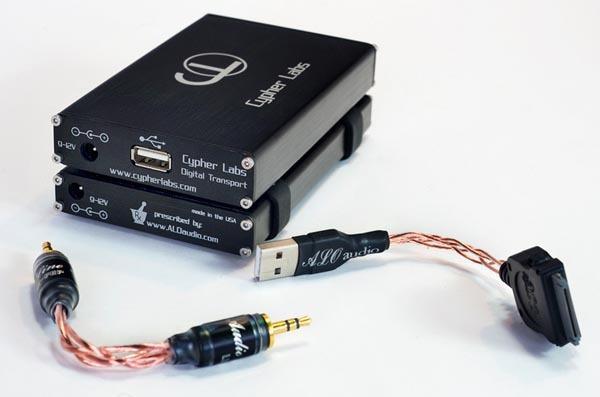 The choice of the Wolfson DAC was considered to be the better musical choice by Cypher Labs and I can’t deny it does indeed do a very good job. The Solo really does a fantastic job of opening everything up from the ipod/touch/phone – the sound stage is much bigger, the instrument separation is clinical, the musicality is just fantastic. When combined with the Rx2 I found everything to just scream quality. It was amazing to hear old 320k mp3 tracks of 80’s rock just sound so fresh again. I really did find myself going through one album after another of Bay Area Thrash and Hair Metal wondering if I just bought them yesterday again. Move the Solo and ipod onto modern music and all I ended up doing was turning the amp volume down a touch. I was not searching for EQ or any sort of adjustment. Unter Null’s Moving On sounded huge yet never at any stage was it out of control, distorting or bleeding from one range to another. My own personal assessment of the Rx2 amp after this was a perfect performer with rock and metal with its neutral to slightly bright signature. The sparkle is perfect for my type of hard rock and huge vocal chorus hooks. Combined with the Solo the attack and decay on Five Finger Death Punch “Way Of The Fist” was the fastest I have ever heard on any DAP I have played this 320k file on period. One nice thing to note as discovered by a few others also is the EQ of the ipod does indeed go through to the Solo allowing you some measure of EQ control to the whole process. Not that I find the EQ to be that beneficial personally but for some this will be seen as a nice little feature and it does add a little ‘extra’ from time to time. EQ usage though is a whole new article if you ask me so I stayed with flat EQ for this review. If you have the cash, a modern iPod and either run it to your system or a demanding audiophile on the move then this is a must buy, it just doesn’t get any better than this for listening pleasure. Your choice of amp is supremely important though and I found my Nano ate juice quickly during the test that I found a recharge was required fairly quickly. Mind you coming from Hifiman’s exquisite HM-602 I was kind of used to shorter battery life and is something I have been trading off in return for higher bit rate playback for a while now. Sadly you cannot charge the iPod through the CLAS setup and as of now. We are informed that previously video playback was not possible using the Solo but that now all units being shipped come with a new update with firmware version number 1.3.1. Firmware is updated through wav files which is pretty groovy so I am keen to hear what potential can be further unlocked in what I am fast considering my ‘gadget’ of the year! Unit price as the time of printing: $579.00 or $998.00 with the Rx2 Amp thrown in. How do you think this will pair up with a Beyer DT1350 and Alo Audio The National amp? And will the CLAS work with my white iPod video 30GB? Thanks for the great review! Which ipod is this? I think in the review I listed which ipods will work with it. Looks like I’m one gen too late since mine is the 5th gen ipod video. But it should work with my new iphone. Do you think the clas will synergize well with a Beyer DT1350 and Alo The National setup? I think so, anything is an upgrade on the stock igadget dac. You can get both the CLAS and Rx2 amp at http://www.aloaudio.com and comes to about $1000.00 give or take a few add on cables. How do the following compare in terms of sound quality? I will actually be using the Nokia N8 USB OTG to bypass internal DAC. 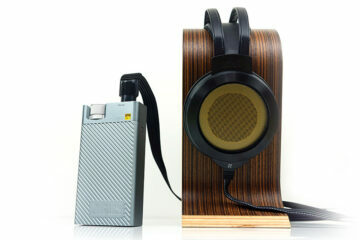 Hi Luke welcome to headfonics. The CLAS (solo) and Rx2 is vastly superior as a combination over the D-Zero but then one is $109 and the other is $550 and $440 respectively so you get what you pay for. 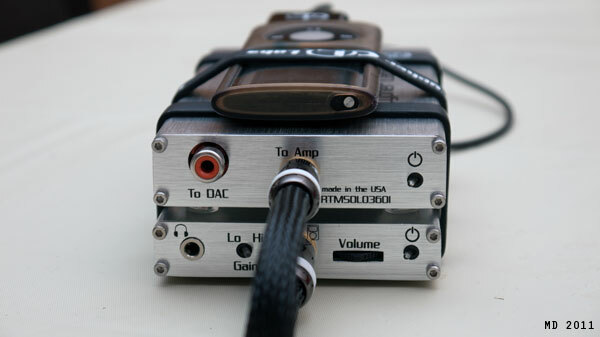 The Zero is both a DAC and an AMP and the CLAS & Rx2 are separate allowing you to run coax out from the CLAS or change your amp and thus the tonality of your setup. The D Zero is very small and compact and perfect for on the go amping. The CLAS will only accept LOD connections and an Ipod so if your thinking of using the N8 then I am not sure that would work but your welcome to try and let us know your results. I expect the bypass feature to be a significant factor within price, especially considering the only rival is the Fostex HP-P1. 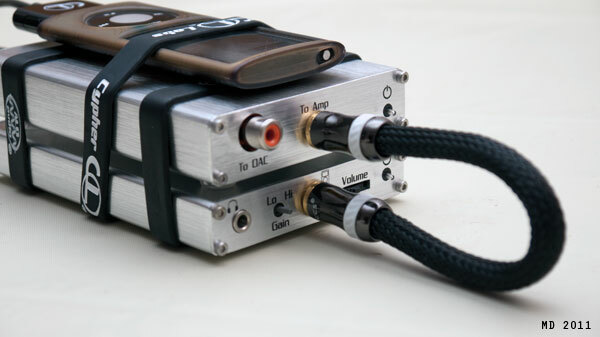 I wonder how the combination would compare to the more premium DAC/AMP, perhaps the iBasso D6? There seems to be mixed feelings on the CLAS and Fostex HP-P1. I believe some users have stated the difference to be minimal, and others stating otherwise. I’m quite dubious of the improvements to which the CLAS will provide. From my own experience, I can most definitely hear significant improvements going from the Cowon S9>CmoyBB to Nokia N8>E7 DAC. The presentation of the latter seems to be much more clearer, however soundstage seems congested by comparison. 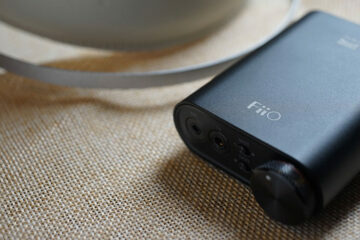 Recently I purchased the Fiio E11, and I entirely disliked the sound signature, and much preferred the E7. The E11 sounds rather cold, harsh, and highly congested to my ears. Hi Luke, yes when you move to the next step its always a breakthrough experience and then the next step and the next step – if you get my drift. The Cowon s9 is a capable performer with a great amp for DAP’s and better than the N8, the difference your hearing there is the sq of the CmoyBB and the E7 which is both a DAC and an amp so it sounds like your preference is for the e7 sound signature? I can see how you would not like the E11 based on that preference which is dark, evil and a bit of stomper in the bass regions. The e7 is airy and much more laid back. I’m not actually using the Nokia N8’s internal DAC, the USB OTG allows to bypass, and use external DAC within the Fiio E7. So the Cowon S9 should be compared to the Fiio E7’s DAC, and not the Nokia N8. The Nokia N8 will only be used for media front purposes, and the actual processing conducted through the Fiio E7 DAC. If that makes sense! Makes sense to me though each amp adds a little flavor also to a your setup so dont discount the CmoyBB in the coloration of each each setup. How’s the RX2 with IEMs? I actually had to stop testing due to an ear infection so will pick this up again tonight and write up some initial impressions with the Um Merlins. It really does sound fantastic. Pity the system does not do FLAC forcing me to acquire a small collection of alac BUT 320k files are pretty darn good also.